Many Americans are surprised to discover that over 165,000 students from India are presently studying in the United States, but for those familiar with India, and the interest there in education, that fact should not be surprising. India and the United States have considerable interest in each other, including trading over $60 billion (USD) in goods and services every year. And because India is the world’s largest democracy, there should be a natural interest by citizens of both countries in that relationship. Much as is the case for trade, where each trading partner supplies needs of the other for things that are impossible or impractical to produce at home, education provides opportunities for students to learn things that might be difficult or impossible to learn in one’s native country. Many Indian students come to the United States to study business, computer science or engineering, gaining not only skills in a particular topic, but also gaining invaluable understanding of the nuances of culture that contribute to understanding of the people of another country. It is that combination of increased skill and cultural literacy that enables students who participate in international educational exchange to have an advantage over students who may possess technical knowledge only. Regardless of topic, studying and living in another country provides insights that extend far beyond the covers of a textbook or the walls of a classroom. Sometimes forgotten is that this deep cultural fluency is bi-directional. Students from the United States who visit India for study will find just as much value in the new skills and understanding they learn as do Indian student in America. This is why more schools, and even the United States Department of State are encouraging students from the United States to study abroad. It simply is not possible to be a truly international citizen by only reading about things, or watching movies. Only by interacting with others from another culture can one fully understand the two most interesting things there are to know about the world—how similar people everywhere are, and how different. It is only after this reality is internalized that people can understand each other well enough to effectively develop sustainable global economic growth and contribute to an improved business climate, creating jobs and wealth for both sides of the exchange. Apart from business opportunities, there are substantial additional benefits to exchange; improved global diplomacy, shared research opportunities and new approaches to arts and science come easily to mind. Can you imagine arranging an exhibit of Indian art to tour America (or vice versa) without knowledge of the history and culture that produced the art in the first place? It’s not difficult to see the increased potential, and the appeal for students who look outside the traditional study areas of business and science. Art, the humanities, and many other subjects can also open a pathway to a future filled with possibility. The real question then presents itself—how can a student take advantage of this great opportunity? Isn’t it true that only study in a top-ten school is worthwhile? Isn’t it costly? Isn’t international study only available to the most accomplished or gifted students? Fortunately, none of these are true. 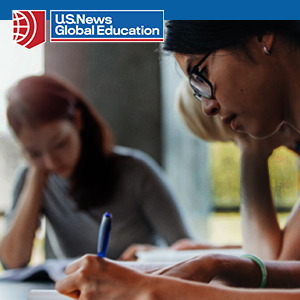 First, there are hundreds, perhaps thousands, of great schools in the United States that welcome international students. Look for schools that are accredited by recognized accreditation agents. Regardless of school choice, as long as a soundly accredited school is selected, the benefits of deep cultural and technical understanding that await an international student in any discipline will be there. Second, while education can certainly be costly, every school is looking for a different variety of abilities, skills and backgrounds that help to create the school’s unique learning community. If you’re smart, you can find schools that value your contribution enough to make the experience possible through some sort of financial aid. If you are a reasonably good student with good communication skills, and desire to have a truly international experience, you will find it possible to do so. 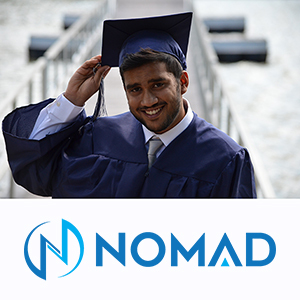 For specific information, there are many resources—school websites, representatives of US higher education institutions who visit India, the EducationUSA office near you, and alumni of US schools are all extremely valuable resources available to anyone who puts forth the effort to find them. The opportunity to expand and achieve your full potential is waiting for you. What are you waiting for?